You’ve got to hand it to Lupin III part 5, two episodes in and things are only ramping up in excitement. After a strong first episode, the show has more or less followed up with something that’s only making things even more interesting. 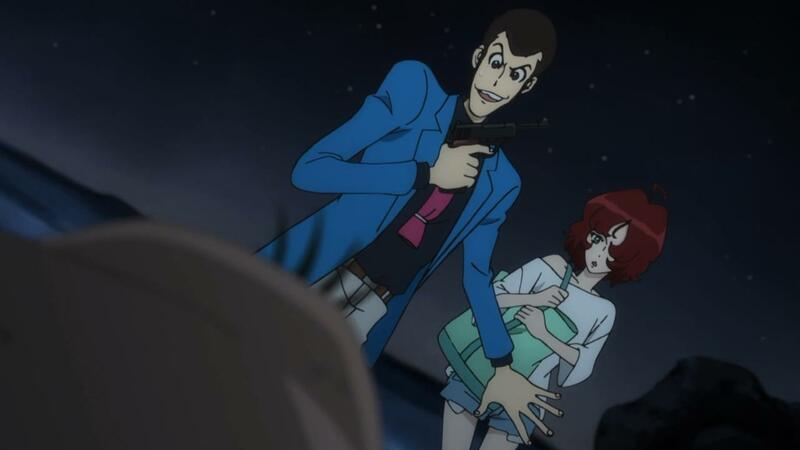 I’ve seen Lupin III before, I’ve enjoyed it quite a bit, but I don’t think its ever been this good, this early on. There’s a certain appeal to Lupin III, and I think it took this episode for me to really put my finger on what exactly that is. 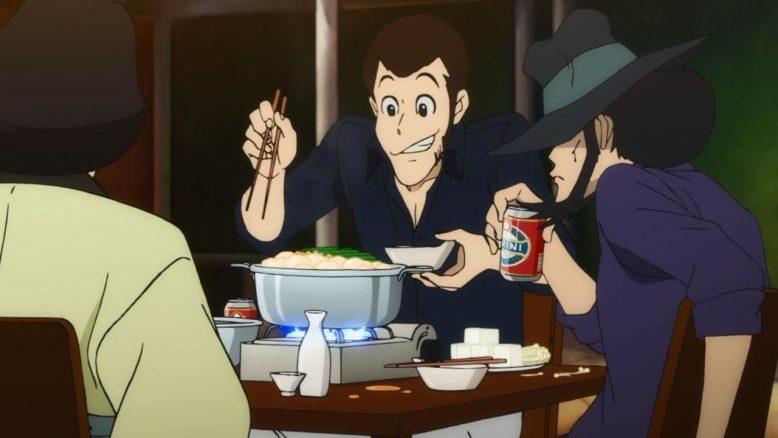 See, like a good murder mystery story where the enjoyment comes from the detective figuring out how a murder was committed, Lupin III Part 5 is basically a bombastic heist story. And Heist stories? They are all about seeing the criminals/protagonists pull off the impossible steal and get away with it. That’s very much what we’re seeing here. Lupin has managed to “steal Ami” and thus is now working to get away with his latest prize. And the genius of it all? The fact that the show isn’t at all subtle about what its doing here. You can see the comfort, the mastery and the skill at display here. 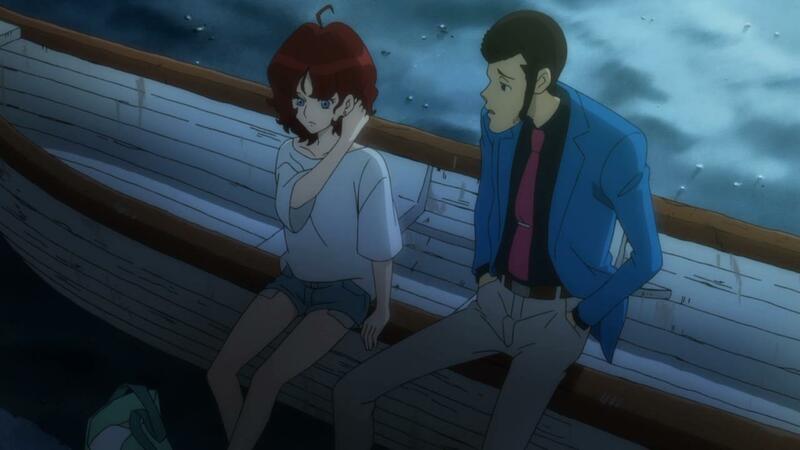 Simply put, the people behind the Lupin III franchise really are taking the character and the show in interesting places. Following last week’s excellent setup, we had Lupin deal with the whole “Lupin Game” trap in quite a novel way. Instead of fighting against the fad that he had now become, Lupin embraced it and thus forced himself out of a tricky situation. I have to commend the writing talent here. Many writers will try to shoehorn stuff like social media and internet celebrities into their stories, but few have done it as effectively as it was done here. There’s a level of understanding on display here, that you just don’t get from someone just “using” an idea. No, the whole “Lupin III social media game” and Lupin’s successful counter measure to it, are all rooted in the real wortld and how social media operates in it today. Its all too true, unfortunately, that people will suddenly get amped or excited about a particular issue or person, and then promptly forget it and move on once the actual excitement or drama surrounding it all, disappears. 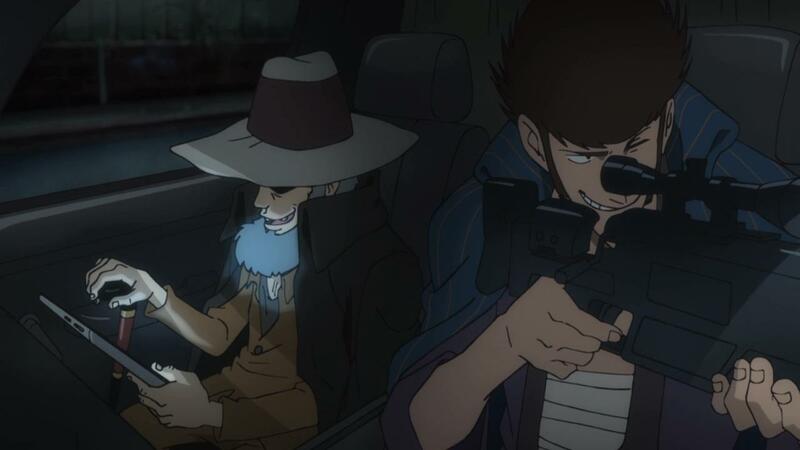 Case in point, Lupin quite cleverly removes the fun out of the Lupin game by not only hiding out in a country that’s outside of ICPO jurisdiction, but by basically vlogging and photo blogging his entire stay there. Its a clever solution to a novel problem. How do you deal with sudden infamy? You just embrace it and spam your own content to the point where it becomes tiresome to follow, and old. Fads come and go, and this whole Lupin game scenario, which took place over the course of one and a half episodes, beautifully illustrates how that works in our inter-connected world of today. The fact that the show so effortlessly is able to integrate Lupin and his pals into the mix, is just masterful writing right there. You can just see the writers for the show having a ton of fun here. 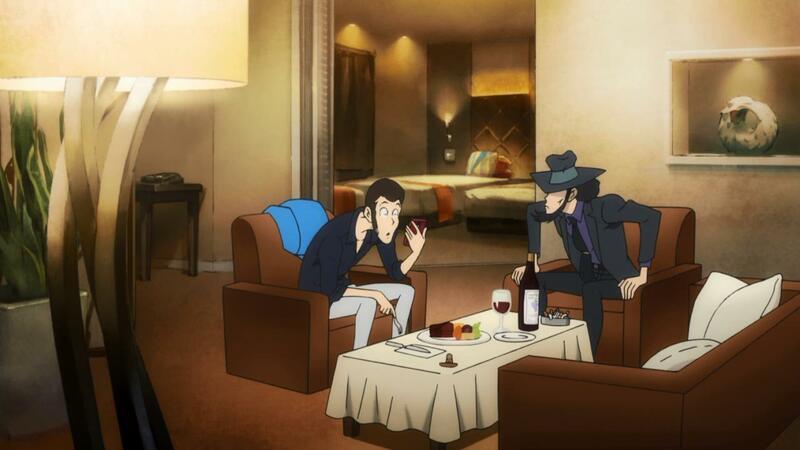 Things like Lupin joking and ribbing Jigen and mentioning how fans call them “lovers” or stuff like Goemon having trouble with a camera are nice little comedic moments that play with the audience. 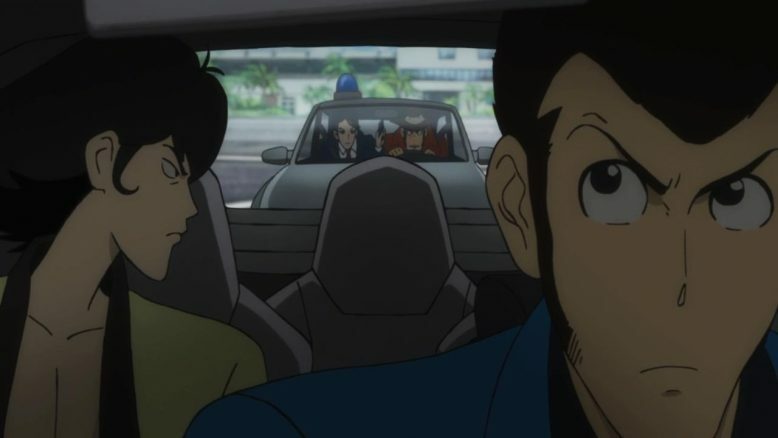 I for one, am sure that there’s a lot of Jigen x Lupin doujin floating around online, and I love that Jigen is just as appalled by the pairing as I am. Some pairings are just too forced, by a rather odd group of fans. Now… You’d think that with Lupin basically taking care of the Lupin game issue, the show would kind of peter out and lose some momentum. Thankfully, that’s hardly what happens here, and the show instead doubles down and introduces a new angle to the whole mix. 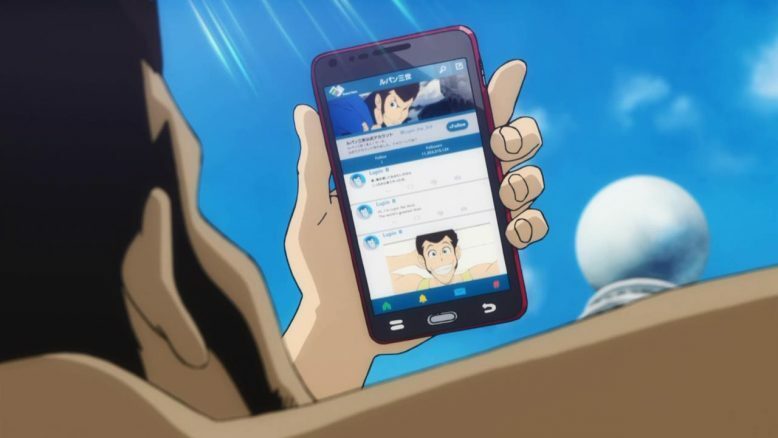 So Lupin is now basically telegraphing his entire life on social media? Perfect. The Mafia ends up using his to create another game, one that features betting on when Lupin will die via Cryptocurrency. I’ll admit, this part of the scenario isn’t the most novel, or even entirely original, but it does bring us a new element in the story. Namely, that a bunch of professional assassins and hitmen are not on Lupin’s tail. We’ve seen Lupin and his buddies deal with one major baddy here and there, but a whole army of money hungry assassins all after them? Well, that’s a lot more than I think even Lupin can handle. Which, honestly, is the exciting part here. Rather than wind down, the action is going up a notch, with Lupin, Jigen and Goemon clearly overwhelmed now more than ever before. On top of having to deal with an onslaught of assassins, Lupin also has to protect and deal with Ami, which makes his task considerably more difficult than his other two comrades. Speaking of which, I like how Ami’s being used here. Unlike other characters we’ve seen in the past, Ami’s almost robotic, cold, calculating personality is a great foil for the cheery, cocky and chivalrous Lupin. The scene, which the episode ends on, is the perfect description of the kind of character Lupin really is. “I’m protecting you cause I like being the kind of guy who does that” is so quintessential Lupin. Everything Lupin does involves a degree of showmanship, a level of being cool, and a good deal of self satisfaction. Lupin does what he does, because he wants to, and anything else would be counter to his character. And thus we have quite the pickle for Lupin and his buddies. You’d think they were in hot water at the end of last week, but now things are significantly more deadly. 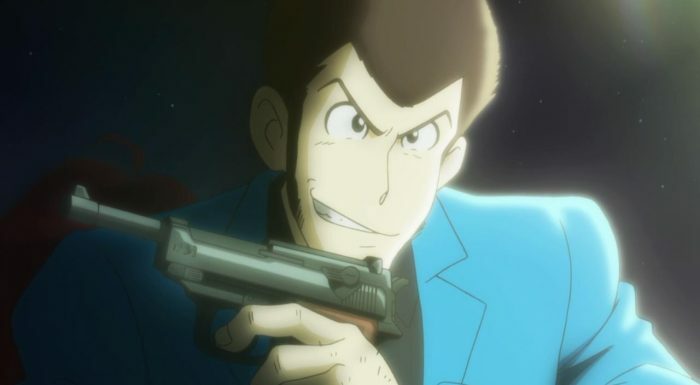 I’m sure that Lupin III Part 5 won’t be able to continue this one-up-manship for too much longer, but for now, man am I excited to see what happens next. And man… Am I having a good time! Next week can’t get here soon enough.